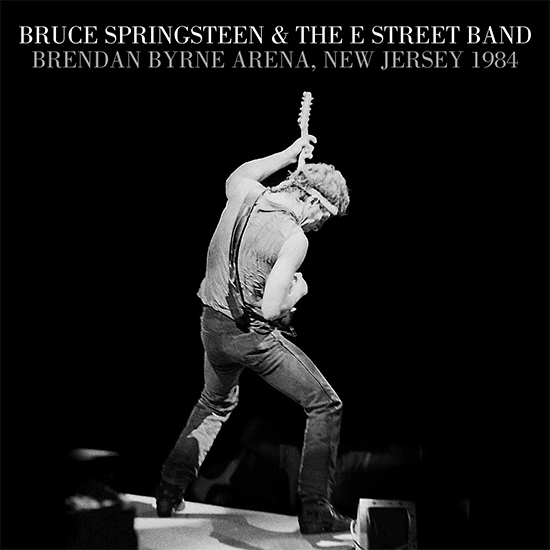 The first night of a 10 night stand at Brendan Byrne Arena at The Meadowlands in New Jersey, 8/5/84 is the first complete recording officially released from Bruce Springsteen’s historic Born In The U.S.A. Tour. This was the E Street Band’s first tour with Nils Lofgren on guitar (Stevie Van Zandt had left the band) and Patti Scialfa on vocals and percussion. As with the popular Nassau ’80 archive release, Meadowlands ’84 was recorded live with the Record Plant Remote Truck by Toby Scott, and the master analog multitrack reels were transferred at Sonicraft and restored via The Plangent Process for maximum audio fidelity. Toby Scott mixed the show for this release in April 2015. The high quality recordings of this show prompted us to offer this release in DSD, an additional high resolution format that’s 64 times the resolution of a standard CD. The show is also available as a 3 CD set and downloadable in MP3, FLAC, and HD audio formats. Download your copy of Bruce Springsteen & The E Street Band: Brendan Byrne Arena at The Meadowlands in New Jersey, 8/5/84 here.